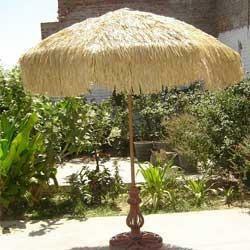 We have in-store with us an impeccable array of Garden Umbrella With Wood Frame. These umbrellas are featured with attractive designs making these suitable for garden & resorts. Owing to their easily installation features, our wooden garden umbrella matches up with grandeur & decor of the place. We are also of offering customization for these umbrellas as per the demands of the clients. Tensile India & Canopy is establish in the year of 2016. we are leading of Manufacturer, Wholesaler,Trader, Retailer, Service Provider & Distributor of garden plain umbrellas, embroidered umbrella, printed umbrella, outdoor umbrella etc.The offered Umbrellas and Advertising Materials are widely used for the purpose of promoting, advertising and marketing of various products, services or events in the most efficient manner. For the ease of our customers, we accept different modes of payment.